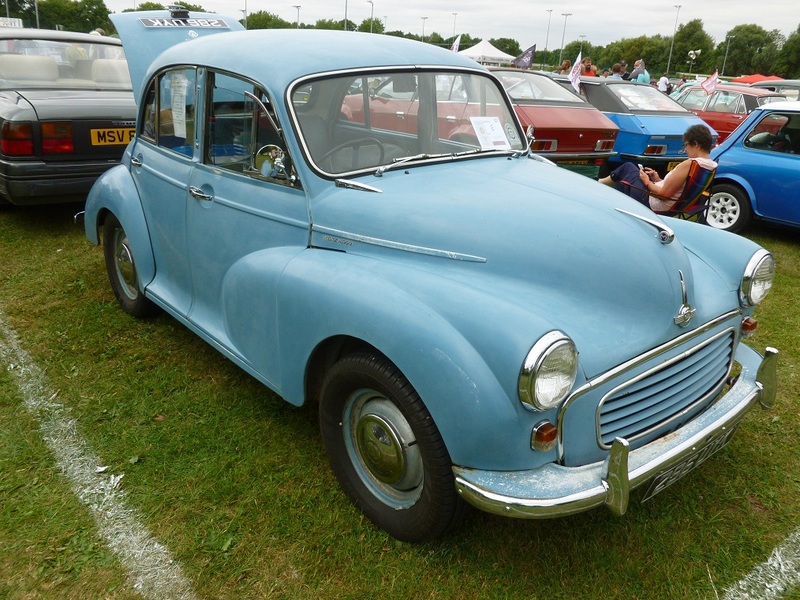 Morris Minor 1000 4door saloon 1961 in blue. 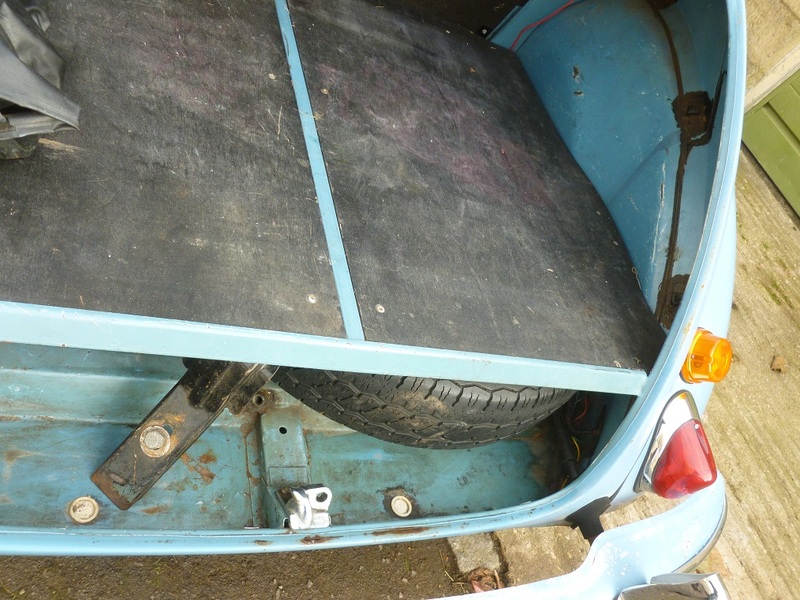 In good running order, this car is for sale on behalf of the owner who purchased it in New Zealand and shipped it to the UK at the cost of around £2000 because of the condition of the bodywork. 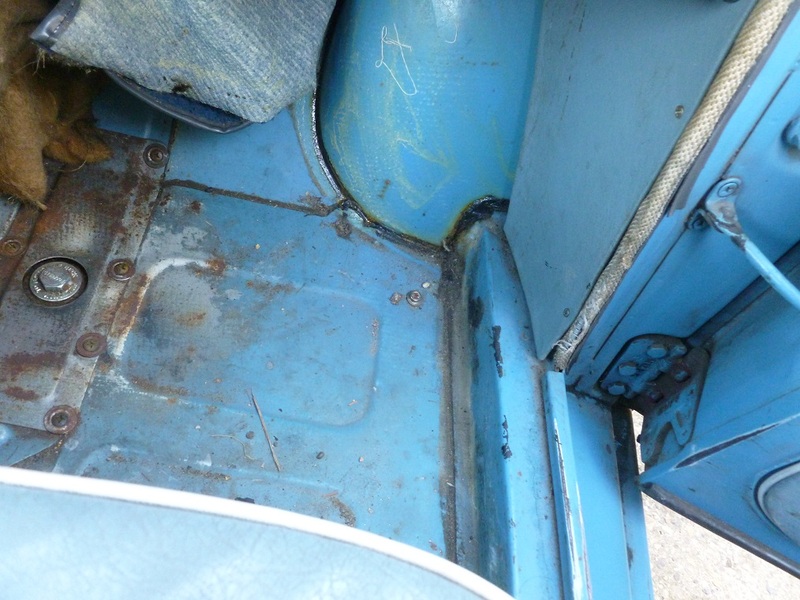 The car has almost no rust at all and is in remarkable condition. 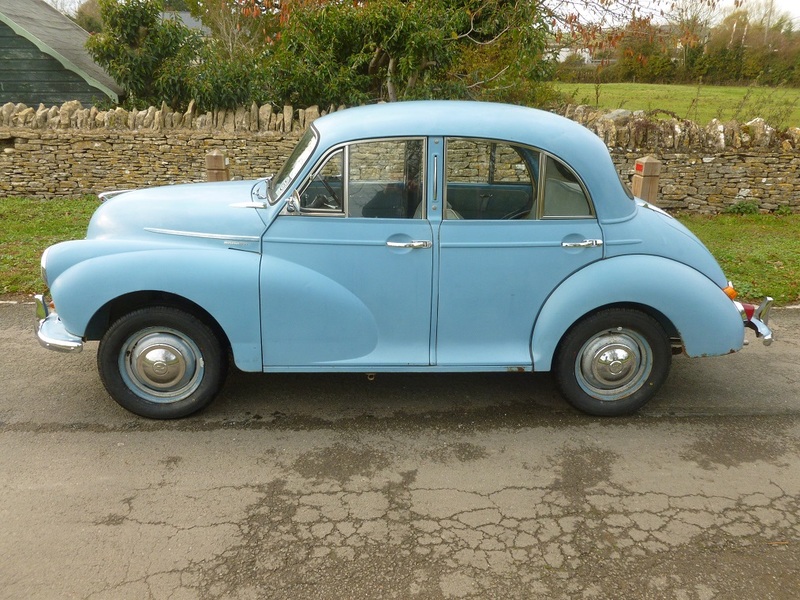 The car has had just 3 owners from new – the first keeping it for just 3 years and the second purchasing in 1964 and keeping it until 2003 when the current owner acquired it. He shipped it to the UK in 2015 and has owned it, garaged it and driven it fairly regularly since. It is now for sale due to the purchase of a Minor Traveller. The total mileage from new is only 81,000 miles and we have much history here with the car. If bodywork condition is important to you – and it should be – then this car is probably the one for you and well worth a look at. The more you look at it, the better it seems. The paintwork is not immaculate but the structural condition is quite amazing and no welding repair has ever been required. 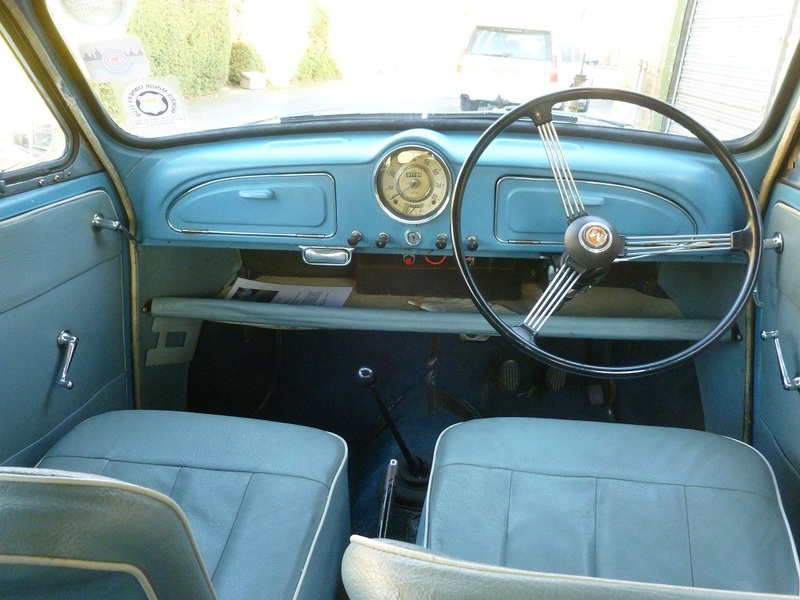 Paintwork is almost all original and so is the interior trim. Fully UK registered and qualifies for road tax (and MOT) exemption although the car is currently MOT’d until next year and had no advisories. A set of 4 brand new tyres have just been fitted. You are unlikely to find another as original and rust free at this price in the UK.